Jewish choices should never lead to an answer as simple as “yes” or “no”. For example, “Do you observe Shabbat?” “Do you keep kosher?” “Do you give tzedakah?” Even if the answer is yes, it demands some qualification. If the answer is no, it requires more attention. Jewish choices should lead to full answers, and a Reform Jewish answer should include a reason thoughtfully formed. 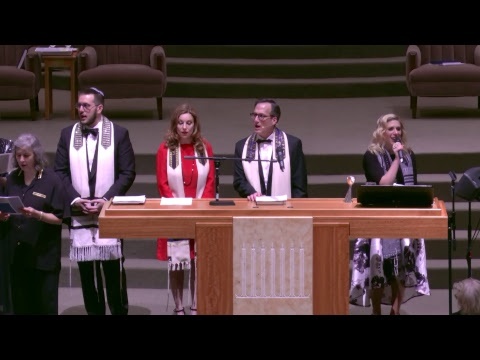 For example, “How do you observe Shabbat?” “How do you keep kosher?” “How do you give tzedakah?” These are questions that we are all obligated to answer, and which we have the liberty to answer as individuals. For Reform Jews, Shabbat is an essential part of our week. Rest from work and anxieties can refresh the heart and mind. Working on Saturday might be necessary to support one’s household and generations of Jews have done so, but not without also setting aside time for family. Keeping kosher was rejected by very early reformers in order not to set themselves apart from full participation in society; but, today, many Reform Jews keep kosher by making ethical food choices. Many choose not to eat veal or prefer free-range chickens. Obesity is at crisis levels in America. A Reform Jewish food ethic includes eating to live, not living to eat. (“The Sacred Table: Creating a Jewish Food Ethic,” CCARPress, http://tinyurl.com/nldxjkh). Tzedakah is always a personal choice and part of every person’s obligation to participate in repairing the world.